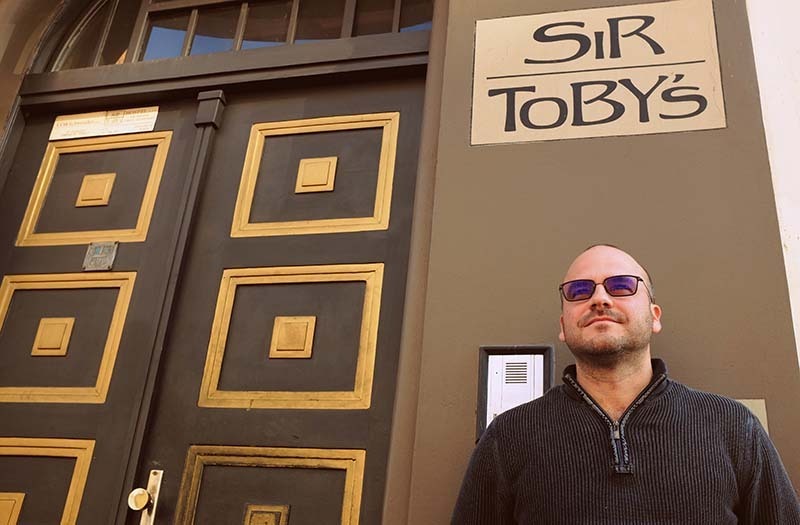 Twenty years ago a man named Mathias Schwender saw the need to open a place called ‘Sir Toby’s’. Sir Toby’s started small with 10 beds and a very passionate owner with a large collection of antiques (and nowhere to house them) whose vision was to bring together travellers from all walks of life under one roof – where they could interact, laugh, and share experiences freely. Now, 15 years later, Sir Toby’s has served as a temporary (and not-so-temporary) home to thousands of guests. It was the starting point for a group of unique accommodation providers now known as Bohemian Hostels. The family has grown to include Sophie’s hostel, Czech Inn, hotels Miss Sophie’s New Town & Miss Sophie’s Olomouc, The Nicholas Hotel Residence, hotel Amadeus (Miss Sophie’s Žižkov to be). Furthermore, we decided to step onto the African continent and established a sustainable hostel in Accra, Ghana called “somewhere nice”. Last but not least, you can be looking forward to the latest member of the BoHo family coming soon! Sir Toby’s is anything but conventional. It has a little something for everyone – from shared rooms to quaint and charming private rooms. It’s warm, communal, and has an energy flowing through it you can only feel once you step inside our doors (…and head down to The Pub for beer tasting…and the terrace garden for a BBQ…and the brick-cellar kitchen to make your own home-cooked meal…well, you get the idea.). There’s a lot to experience. The Bohemian Hostels family has been featured in the likes of The Today Show, Budget Travel, National Geographic Traveller, The New York Times, Elle, Glamour, El Pais, Washington Post, The Times (UK), The Guardian Unlimited, Let’s Go, Lonely Planet, Routard, The Rough Guide, and many, many more.